Heating & Cooling in Central New York | Standard Insulating Co.
You count on Standard Insulating Co. to help you get the best insulation possible for your Central New York home. 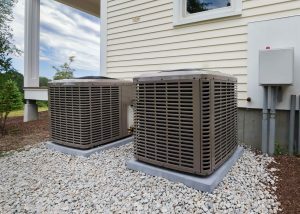 Now, you can trust us with the heating and cooling needs of your home as well. We offer quality heating and air conditioning equipment, so you can safely heat and cool your home year round. Even more, we make it affordable. We can replace your old heating or cooling system with a new high efficiency system for as little as $3,000. And, if you qualify, we have access to programs that can pay HALF the cost. Really… qualified homes can get new heating or air conditioning for as low as $1,500! We’ll help you get the best heating and cooling equipment, and our expert technicians will install it perfectly. You’ll be able to count on optimal home comfort now and for years to come when you trust us with your home cooling and heating needs. Choose Standard Insulating Co. when you need heating and cooling for your Central New York home. To find out how we can help you improve your Central New York home and its comfort level, as well as how you can save money on your energy bill, contact Standard Insulating today. Call us toll-free at 1-(800) 738-1424, and we will be more than happy to assist you.